Experience the WaveSpring® technology of Spira, an innovative footwear company making premium athletic shoes with a patented energy-return system that reduces stress on muscles and provides exceptional cushioning and resiliency. 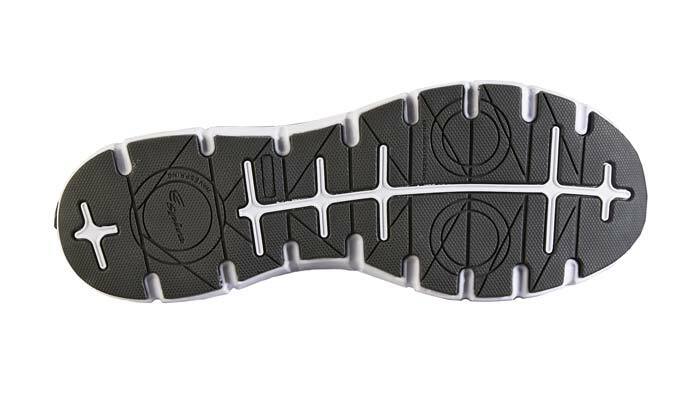 Lightweight stainless steel springs built into the sole unit at heel and forefoot stand up to wear better than compressive foams for an extended “new shoe” feel. 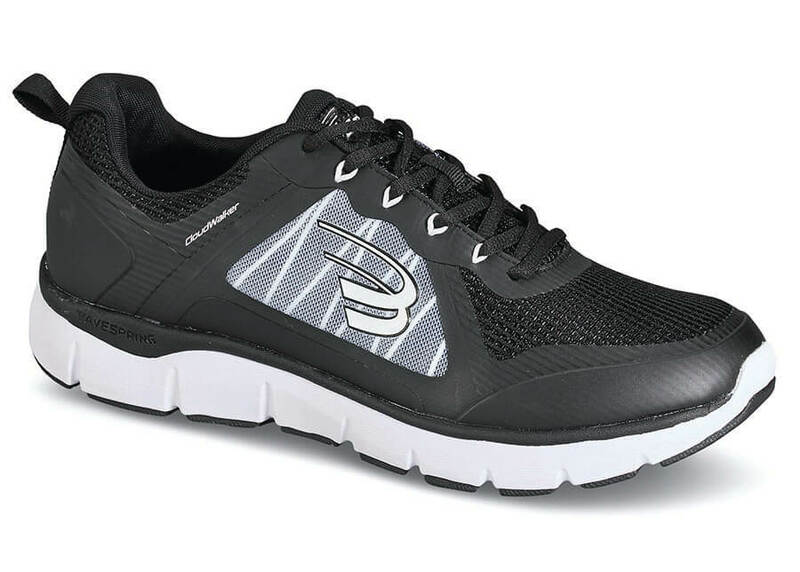 The black-and-white synthetic-and-mesh CloudWalker has breathable uppers, a removable Memory Foam insole, a full-length compression-molded EVA midsole and an UltraGrip full contact rubber outsole for stability and support. Men’s sizes 7–12, 13, 14 and 15 in 4E and 6E widths.